Deadline to submit your FAFSA or CA Dream Act is MARCH 2ND! *Stop by the Library for assistance on submitting your financial aid application. Please be sure to bring your parents 2017 income tax returns. For further aid, see scholarship list. Cost for the most economical basic package (includes: Cap, Gown, & Tassel) is $21.55. 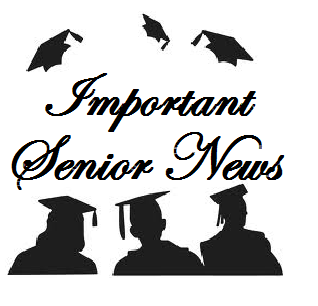 Parents may also purchase other packages and items such as announcements, Senior Rings and other Senior remembrance items for an additional cost. Purchase your items today, prices will go up! Stop by the Library every Monday, Tuesday, Wednesday, Thursday from 2pm-3:30pm for help with College Applications, EOP Applications, UC Personal Insight Questions, Financial Aid and more! Your College Advisor, Counselors, and College Boost Mentors are available to assist and guide you through every step in achieving a higher education! This year's Grad Night will be held at Universal Studios Hollywood on Friday June, 7th from 3 p.m. - 2 a.m. Tickets are on sale in the bookstore for $110. Last day to purchase your ticket is May 1st! 2019 Graduation ~ Monsoor Stadium ~ Friday, June 14, 2019 @ 4:30 p.m.
*Student Arrival Time: 3:30 p.m.
8/29 - Senior Sunrise @ LAHS Football Field, 5:30 a.m.
6/12 - Senior Sunset @ LAHS Football Field, 7:30 p.m.
6/14 - Graduation @ Monsoor Stadium, 4:30 p.m.